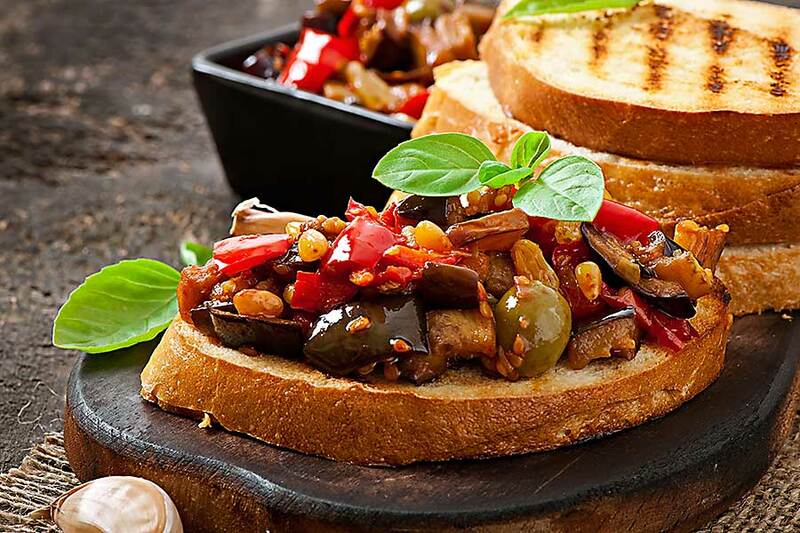 Bruschetta is a kind of Italian snack from a grilled baguette. 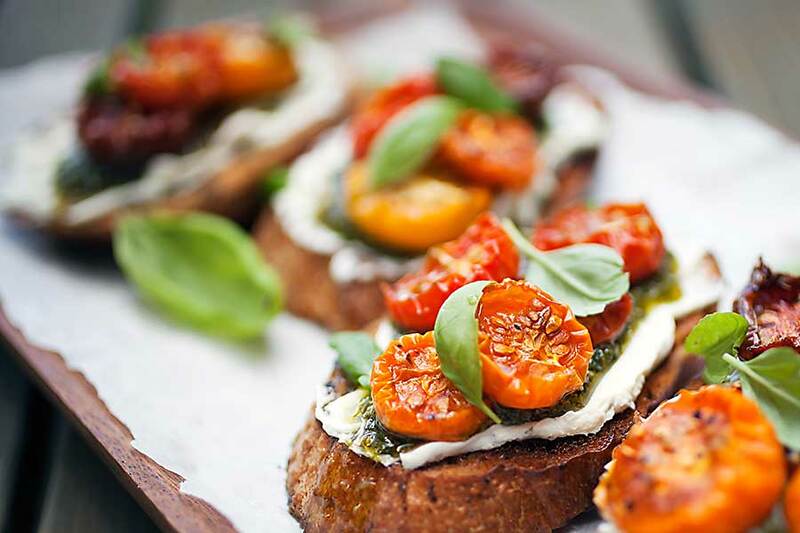 Bruschetta is made of white bread with olive oil and garlic, and the additions are traditionally tomatoes and basil. There are many versions of additions. The freshness of the ingredients is the whole secret of the dish. The fresher and better quality, the better bruschetta. Making bruschetta takes just a few moments. The cook prepares toasts with white bread or rolls, and then topping them with oil and grated garlic and arranges the additions. Ciabatta or Paris rolls are also used to prepare snacks. The snack can also be prepared with the addition of other ingredients known in Italian cuisine – such as olives, mozzarella or capers. 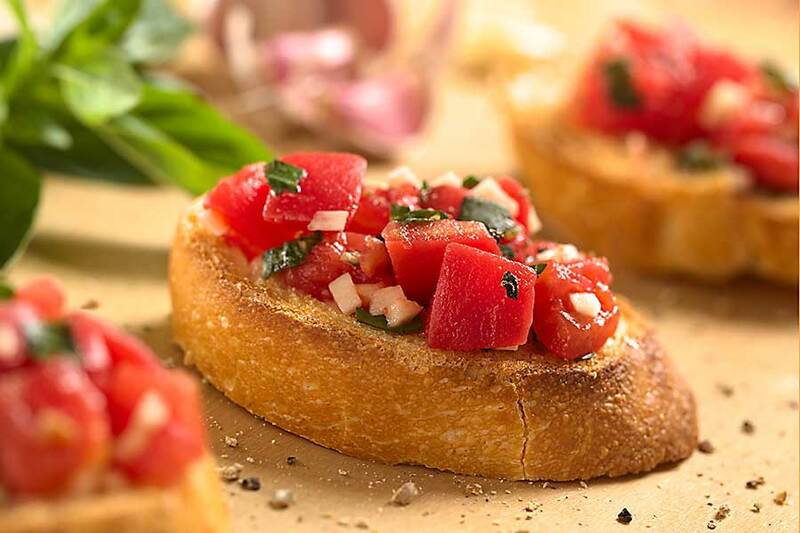 Bruschetta is traditionally served as a snack at parties or before meals. It can also be a breakfast or dinner meal. Real, traditional bruschetta al Pomodoro is simply grilled bread smeared with olive oil and grated garlic, topped with a salad of finely chopped tomatoes and basil. The key to the delicious bruschetta al Pomodoro is high-quality ingredients – sweet tomatoes full of sun, fresh garlic, high-quality olive oil and good bread from the bakery. Because in this very simple dish nothing can be hidden.